Traders worked on the floor at the opening bell of the Dow Industrial Average at the New York Stock Exchange on Thursday. If you were watching stock prices Thursday morning, you’d be forgiven for wondering how the arrest of an executive from a Chinese company you’ve never heard of could send global markets into a tailspin. 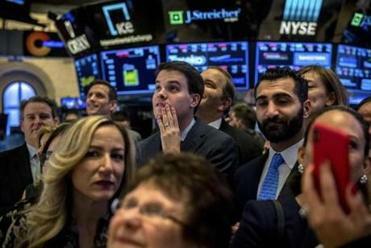 But there were the flashing red numbers: In Tokyo, stocks had already closed 1.9 percent lower; in Hong Kong the loss was 2.5 percent; and European markets were tumbling across the board. US investors, who had the day off Wednesday as the nation mourned the loss of former president George H.W. Bush, braced for the worst. 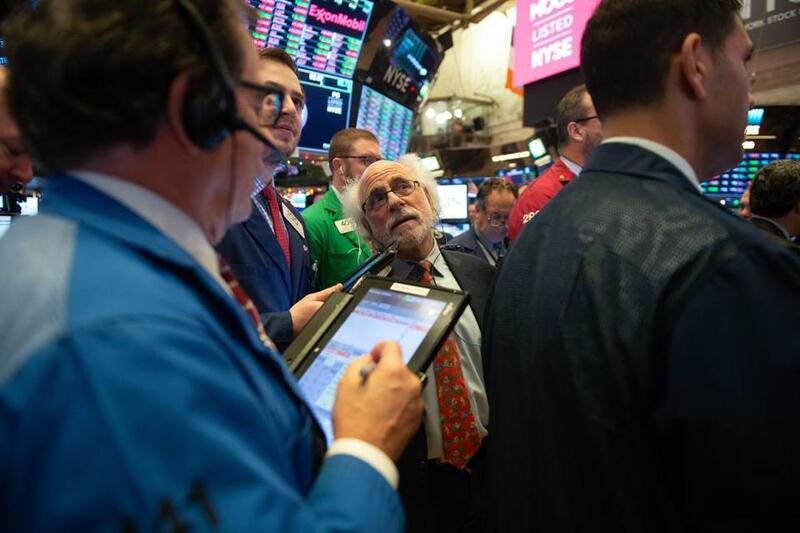 The day didn’t turn out to be anywhere near as bad as Tuesday, when the Dow Jones industrial average plunged nearly 800 points. But it was another session of sharp price swings Thursday, with the Dow at one point down almost 800 points —again — only to recoup nearly all of the drop to finish with a small deficit. Many things are roiling financial markets, and the uncertainty — investors hate uncertainty — is making for some wild rides. Here is a look at the key factors at play. The week started with a rally after President Trump and Chinese leader Xi Jinping said that they had reached a truce in their escalating fight over trade deficits and intellectual property theft. Terms of the deal reached over the weekend in Argentina were sketchy at best, but investors chose to see it as a potential turning point in a tariff war that has them worried about the impact on US companies. Beijing is demanding Meng’s release, and the international incident threatens to scuttle any progress the president made in negotiations with Xi at the G-20 meeting in Buenos Aires. L’affaire Huawei was “a rude awakening for the market that this thing is not over,” said Jurrien Timmer, director of global macro investing at Fidelity Investments of Boston. British Prime Minister Theresa May is losing her fight with Parliament to win approval of the exit deal she cut with the European Union. That could lead to a “hard Brexit” — meaning no agreement on divorce terms — that some worry could trigger a recession in Europe, where economic growth is already decelerating. In France, the pro-business president, Emmanuel Macron, has been weakened by sometimes violent civil protests against his attempts to bolster the economy with labor reforms, and Italy’s new populist government can’t seem to make a budget that meets EU rules on debt. Even Germany’s vaunted business machine is downshifting. But it is the emergence of cracks in the mighty US economy that has investors really on edge. Oil prices are falling, which is not only a warning of a slowdown, but also hurts resurgent US energy producers. Short-term interest rates are threatening to climb higher than long-term rates, a reliable predictor of recession, called an inverted yield curve, that also squeezes bank profits. And corporate profits — the biggest driver of the stock market — are expected to grow much more slowly than they did this year. That decline in earnings growth — from about 25 percent this year to 10 percent next year — has investors reducing what they will pay for stocks. “When earnings growth starts to decelerate, that’s when you see more volatile markets,” said Dave Jilek, chief investment strategist at Gateway Investment Advisers, a unit of Natixis. A year ago, investors were in a good place: The economy was sound, inflation was in check, and the Fed seemed willing not to spoil the party by raising interest rates too high. But in October, Fed chairman Jerome Powell sent stocks tumbling when he suggested the central bank would continue to raise rates steadily and for longer than investors had expected. His comment fueled an extended sell-off amid concerns that the Fed would overshoot in its efforts to keep the economy from overheating and trigger a recession. The fears started to abate only when Powell backed away from his view in late November with another suggestion: The Fed was nearly done raising its benchmark federal funds rate. Still, there was plenty for investors to fret about, especially rising cost pressures on companies from wages, commodities, transportation, and the strong US dollar. And despite Powell’s apparent change of heart, the markets were still unsure of his intentions. Investors “don’t know how all things are going to play out. We didn’t have these issues 12 months ago,” said Lew Piantedosi, director of growth equity markets at Boston’s Eaton Vance. So that’s where things stood Thursday morning when the showdown over the Huawei executive blew up. The trade war was back on, and that could only be bad for US companies, consumers, and investors. saw rates rising next year, it may adapt a wait-and-see attitude that could likely slow the pace of increases. “Under the evolving ‘data dependent’ strategy, the Fed could step back from the predictable path of quarterly hikes it’s been on for most of the past two years, raising the possibility it might delay rate increases at some upcoming meetings, according to recent interviews and statements” with Fed officials, the Journal reported. In other words, the Fed will be doubly careful not to overshoot and push the United States into recession. Stocks roared back, helped by dovish comments from other Fed policy makers. For the day, the S&P 500 index fell 4.11 points, or 0.2 percent, to 2,695.95. The benchmark index had been down as much as 2.9 percent. The Dow dropped 79.40 points, or 0.3 percent, to 24,947.67. The technology-heavy Nasdaq composite added 29.83 points, or 0.4 percent, to 7,188.26. Uncertainty still rules: Will the trade war with China be resolved? Will the UK and Europe fall into recession? Are oil prices and the yield curve warning of bad times ahead? Yet optimism isn’t dead. Plenty of investors say that the bull market, by most measures the longest on record, has more room to run. They note that economic growth is forecast at about 2.5 percent next year, lower than this year but still respectable. Profit growth is slowing, but corporate America is still very profitable. And after all the turmoil of the past few months, stocks are a relatively good bargain. “There has never been a recession in the US when corporate profits are growing,” said Michael Arone, chief investment strategist at State Street Global Advisors of Boston.